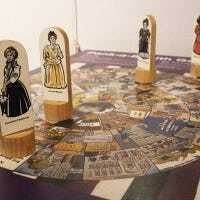 Over 100 years ago, a board game was released called Suffragetto. 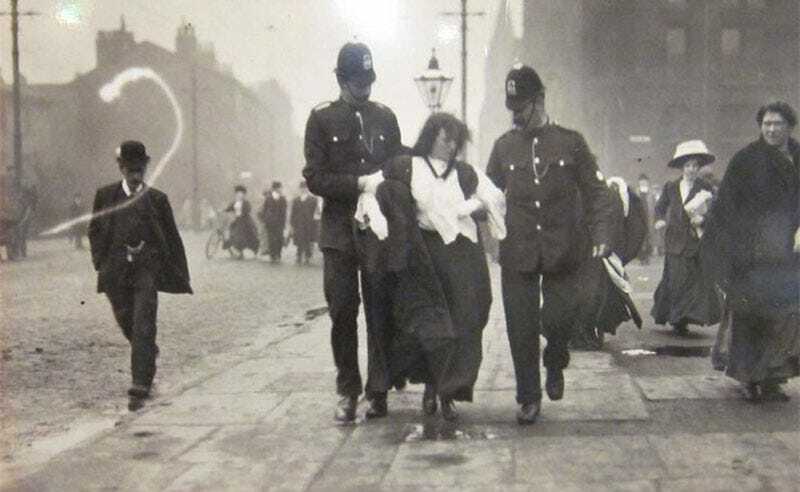 The game pitted Suffragettes—women seeking the right to vote—against London police, with players basically orchestrating running street battles between the groups. It’s easy to look at the setting as a sensationalised product of the times—oh no, the women are rebelling!—but there’s historical grounds for the combative setting, with the movement in the UK (women wouldn’t be granted full voting rights until 1928) characterised by an escalation from peaceful protest to acts of arson and even bombings. And to write off the theme as a manifestation of male fears would be a mistake. 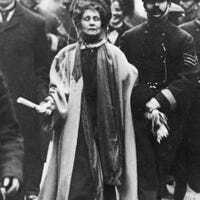 Suffragetto was actually released by the militant Women’s Social and Political Union (WPSU), and embraced its street-fighting theme. As Suffrajitsu describe it, Suffragetto was a bit like chess or checkers, with two players moving their pieces across a board, seizing those of their opponent they moved over. There was an element of territorial control to it, however; the suffragettes had to hold onto Royal Albert Hall (a key landmark of their struggle) while trying to seize the House of Commons, while the police had to protect parliament while attempting to seize Albert Hall. The complete game board. Note the spaces for the hospital and prison, and how everything else is portrayed as the very gladiatorial “ARENA”. If a suffragette is taken, they’re moved to a prison space on the board. And touching on the street fighting theme of the game, if a police piece was taken, they’d be sent to hospital to recover from their wounds. Should both sides lose six or more pieces, then a prisoner swap could be arranged between the two players. Pank-a-Squith was a 1909 board game with a similar theme (albiet with a much lighter tone), with players taking control of prominent suffragettes as they battle the British government. The People’s History Museum in Manchester has a copy on display. The game was lost and forgotten for decades until being recently rediscovered in 2016, with a lone copy now on public display at Oxford’s Bodleian Libraries. It’s also playable online here. The WSPU was formed in response to the slow-moving pacifist tactics of other suffragette groups. They engaged in attention-getting strategies including disruption, occupation, destruction of public property, arson, and hunger-strikes. Police responded en force, leading the WSPU to create a thirty-woman bodyguard to protect its leaders and members. Known as the Amazons, they were trained in a form of jiu jitsu called bartitsu made popular by Sherlock Holmes, and promoted self-defense for women internationally. And if you’d like to actually play the game as it was intended, you can download some print-and-play files here (like this Reddit user did recently, in essence bringing the game back from the dead). A home-printed version of the game, complete with old-timey packaging and manual.